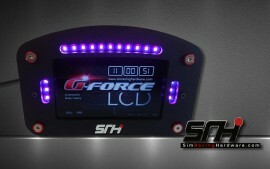 The G-Force LCD is a new display heavily influenced by real-world racing instrumentation. Offering a very high-quality image and fast refresh rate, the 4.3″ 480×272 TFT LCD display comes complete with our own free software, that is being continually updated and improved. The case is constructed out of black anodized alloy and is fully enclosed, featuring stainless and anodized fixings and is of the highest quality. A number of brackets are available to allow the display to be fitted to wheelbases such as the AccuForce, CSW etc as well as a ‘desktop’ stand. 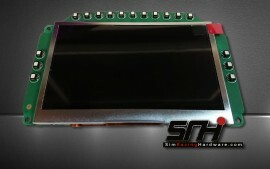 With its composite layered construction and styling, utilizing only the best quality materials and components, the Eliminator is a unique piece of sim racing hardware. The Eliminator LCD can display up to five different screens of telemetry in many formats including graphical/bar and numerical implementations. Add to this the 10 LED progressive shift light array, 2 shift point LED’s and 4 user-assignable LED warning lights and you have one serious display unit. Fully USB Plug-n-Play – a powered USB hub (2 ports minimum) is recommended for easy connection. 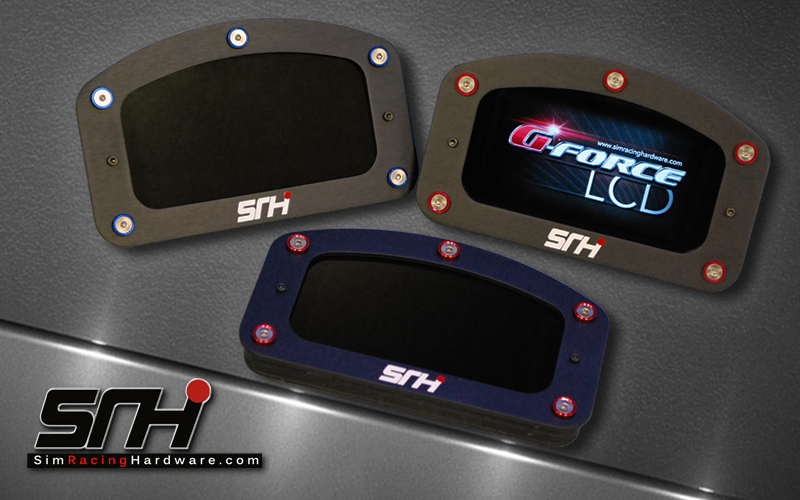 Our Fanatec CSW Dash Pro-Race SLI Mounting plates offer a very attractive and high-quality mounting solution for adding a Symprojects Pro-Race shift light array with two rotary encoders your CSW base. 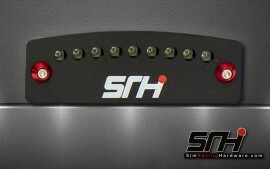 These units come complete with rotary encoders pre-fitted and include the Pro-Race SLI pre-installed and wired. The GI-Max is a simple but stylish and easy to use gear indicator. The unit is ready to use, just plug it into a spare USB port and install and configure the easy to use Simdash software and you are ready to go! The GI-Max also has a neat Shift Light feature, where the display can be set to Flash at a given RPM point. The stand for the unit is made from Black Anodized brushed aluminum with stainless fixings and a tinted lens and comes fully assembled. It also features an anodized alloy back plate to cover the PCB. 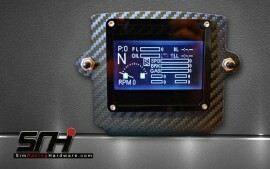 A carbon-look front plate can be added as an optional extra. 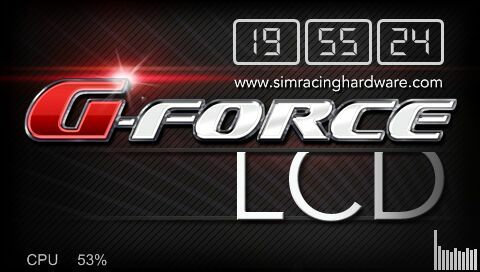 The G-Force LCD Pro is the most advanced sim racing display available, designed for professional use and for users who require extreme performance and flexibility. Heavily influenced by real-world racing instrumentation, it offers a very high-quality image and fast refresh rate with it’s 4.3″ 480×272 TFT LCD display. The Pro features 17 RGB (multi-Colour) LED’s in an 11-3-3 configuration allowing for a large amount of data info to be shown, not just an RPM shift light. The unit also has 32 inputs for buttons and rotary encoders as well as 4 analogue axis inputs for pedals or paddles etc. One of the most impressive things is that all of this is achieved with a single USB connection meaning it is ideal for use in wheels as well as a fully built display. It comes complete with a license for our software, that is being continually updated and improved. The unit comes complete with its black anodized case constructed out of black anodized alloy and is fully enclosed, featuring stainless and anodized fixings and is of the highest quality. A number of brackets are available to allow the display to be fitted to wheelbases such as the AccuForce, CSW, OSW etc as well as a ‘desktop’ stand. 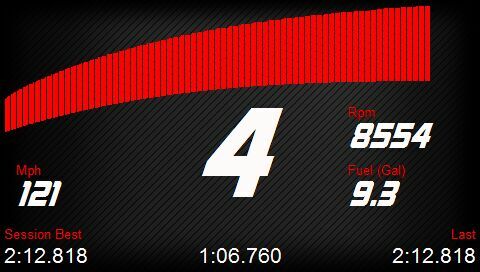 The G-Force RGB LCD Display offers true motorsport quality and functionality and can be used either as a standalone unit or mounted onto the top of the G-Force LCD display. Featuring 9 RGB Led’s the unit can display an almost unlimited number of colours in a huge array of styles including flashing / fading / on-off and colour change. The housing is made completely from black anodised alloy with anodised washers and stainless steel fittings to the highest quality. As always, the unit comes with software and USB lead included, meaning it is ready to use. The Pro features 17 RGB (multi-Colour) LED’s in an 11-3-3 configuration allowing for a large amount of data info to be shown, not just an RPM shift light. The unit also has 32 inputs for buttons and rotary encoders as well as 4 analog axis inputs for pedals or paddles etc. One of the most impressive things is that all of this is achieved with a single USB connection meaning it is ideal for use in wheels as well as a fully built display. It comes complete with a license for our software, that is being continually updated and improved. 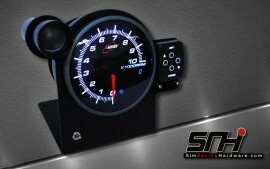 The C-Spec Tach Stand is a high-end gauge available as either a Tachometer (10,000 RPM) or a Speedometer (0-300 KPH or MPH) and is a simple yet attractive ‘plug n play’ solution to fitting a USB Revcounter or Speedo to your rig with no fuss or messing about. The unit comes fully assembled with its own black anodized alloy stand. Simply plug in the supplied USB cable and Power supply, download and install our included software and you’re good to go! Using a highly precise stepper motor giving fast and accurate needle response along with an OLED numeric display, 2-phase warning light (First: Green; Second: Red), peak recall (RPM or Speed depending on model) the C-Spec delivers all the info you need at a glance! Featuring a Dimmable White, Amber or a Blue LED illumination and an Opening Ceremony, the C-Spec Tach Stand is a very attractive way to add both functionality and ‘WOW’ to your setup. 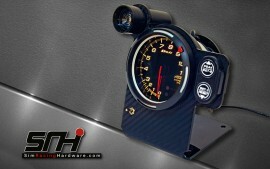 You can run more than one C-Spec Tach Stand allowing you to have both a Tachometer and a Speedometer. 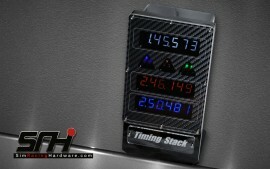 The Timing Stack is a stand alone display designed to show various timing data off screen. 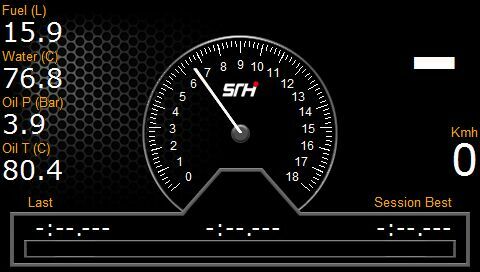 Aimed at professional users/simracers and team managers, the timing stack has three large colour coded six digit displays that are easily read and offer fast comparison of splits / best / last laps and many other data’s etc. The unit also has three LED warning triangles that are ideal for displaying flag warnings or other similar data values and is available in either ‘Panel Mount’ (with four fixing screws on the rear corners of the unit) or the free standing ‘Desktop’ tower version. The Timing Stack requires one USB port and a simple Power supply unit (included) to be plugged in, install the included software and your ready to go. The software is easy to use and will come with a setup file ready to install, but almost every aspect of the display system can be user configured to display a huge range of data, where you want, when you want, how you want! Designed from the beginning to be placed under/over your monitor/s, the ‘Monsta’ is a new concept in simulation displays. 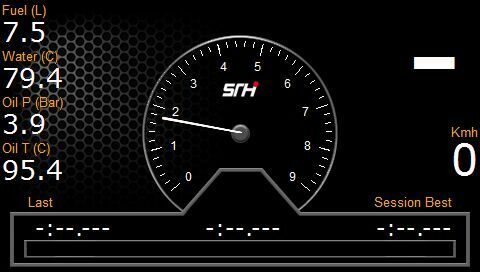 At last, you can now have all the sim telemetry you need in a place you can see it, using you peripheral vision….. You don’t have to take your eyes off the track any more! At 37cm or 14.5 inches long, the Monsta is aptly named! 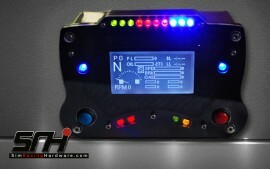 With twin 16 LED shift light arrays, large blue gear indicator, white speedometer, yellow position indicator, red 3 digit display for temps or fuel and a red 6 digit display for timings such as best/last lap or gap to leader etc the ‘Monsta’ can display all the info you need via a neat, easy to read, colour coded display system. The Monsta requires one USB port and a simple Power supply unit (included) to be plugged in, install the provided software and your ready to go. 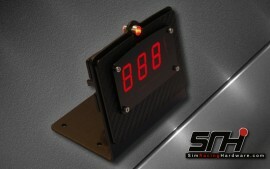 The SPI-D v2 is a simple but stylish and easy to use Digital Speedometer. The unit is ready to use, just plug it into a spare USB port and install and configure the easy to use ‘Simdash’ software and your ready to go! The Tach Stand V2 is a simple yet attractive ‘plug n play’ solution to fitting a USB Revcounter to your rig with no fuss or messing about. The unit comes fully assembled with its own carbon look stand, 11,000 RPM, 80mm Stepper Motor Tachometer with a large green and red 2 stage shiftlight, optional peak rpm audible shift buzzer and its USB board. Simply plug in the supplied USB cable and Power supply and download and install our included software and your good to go! 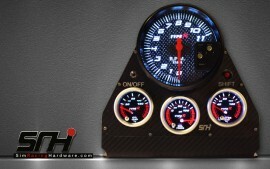 This tach is very fast and responsive as well as accurate. We also fit a toggle switch so you can turn the power on and off easily. 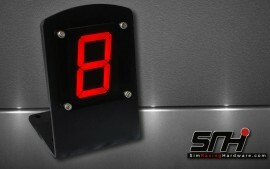 The Simscreen is a simple but stylish and easy to use LCD Display. The unit is ready to use, just plug it in to a spare USB port and install and configure the easy to use ‘Simdash’ software and your ready to go! The software comes with its own ‘Simscreen editor’ software and allows the user to make an almost endless number of custom displays. The unit can hold up to 5 screens and can be ‘cycled’ through using the 2 buttons on the stand. The stand for the unit is made from the highest quality materials and features a carbon finish with stainless fixings and a tinted lens and comes fully assembled. Simply plug in the supplied USB cable and Power supply and download and install our included software and your good to go! We also modify the Tachometer to improve its responsiveness and the unit even comes complete with its own individual ‘Configuration file’ made for each unit so its fully calibrated and ready to use. 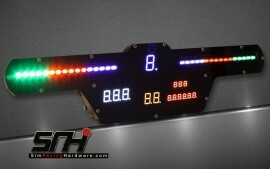 All 4 gauges have 7 color backlighting so you can choose the right color for your rig. We also fit a toggle switch so you can turn the power on and off easily. 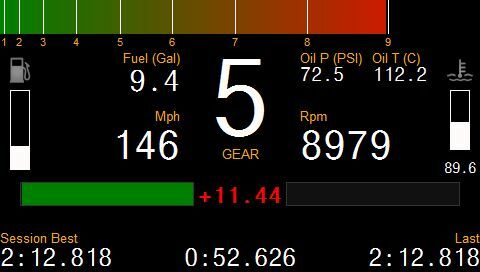 It is also possible to show other data on the 3 Aux gauges, for instance, you could display ‘Fuel Level’ on the Oil Pressure Gauge (The pressure gauge has a 0-100 range and works very well as a Fuel gauge).